We've got Old Sacramento and now the Barn, but what else do we have along the Sacramento River? Why can't we have the hike/bike trails, the boat launches, the water taxis, and work/live/play options along the waterfront? 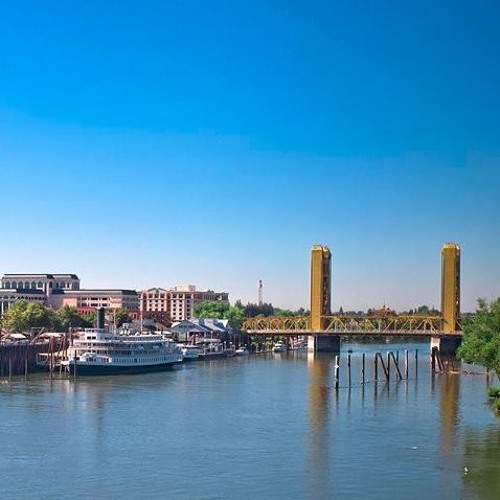 Both West Sacramento and the City of Sacramento say they're making waterfront revitalization a priority, but what's do-able and what's not? For our second event at The Barn in West Sacramento on September 22, we asked questions to people who know the Sacramento River well about what's in the works for the short term -- and what needs a lot of work to happen in the long term -- on both sides of the riverfront. PANELISTS * Jim Houpt - head of Friends of the Sacramento River Parkway, which aims to have a complete multi-use trail run along the Sacramento River, and use it to create the Great California Delta Trail, running down to San Francisco Bay * Harry Laswell -- CEO of the Powerhouse Science Center, Sacramento's version of the Exploratorium, which wants to move into an old PG&E plant on the river. * Brooksie Hughes --the new Old Sacramento District Director, who has big hopes and big plans for making Old Sacramento a bigger draw for tourists and locals alike. * Stephen Jaycox -- chief design and marketing officer for Fulcrum Property, designer and developer of the Barn. * Chris Ledesma -- City Council Member of West Sacramento, who was instrumental in approval of the Bridge District plan, the new urban zone near Raley Field, and is now working to open more riverfront parks and recreation areas PODCAST TIMEFRAME * O to 9:30 min - Intro to California Groundbreakers * 9:30 min - Panelists introduce themselves and share their favorite pastime on (or alongside) the Sacramento River * 16 min - What's happening with the City of Sacramento's Master Plan for the riverfront * 21:30 min - What West Sacramento is planning on its side of the river * 24:45 min - Fulcrum Property is a major developer in Sacramento -- what are its future plans for development on both sides of the river? * 29 min - Future hopes, dreams and plans for Old Sacramento * 34 min - What's holding the new Powerhouse Science Center back from opening up on the river, and what it will look like * 41 min - How Friends of the Sacramento River Parkway is working with public and private entities to get its goal of a walk/bike trail completed * 45:45 min - What are West Sacramento's plans for a hike/bike trail on its side of the river? * 52 min - Plans to boost recreation ON the river -- are more marinas, boat launches and ramps, and water taxis in the works? * 55 min - Making Interstate 5 less of a barrier between people and riverfront access * 59 min - State and federal government agencies: Barriers against, or friendly helpers for, getting riverfront projects done? * 1 hr, 3 min - If it's hard to get funding, how are government officials thinking "outside of the box" to get things done? * 1 hr, 6:30 min -- And how are they turning public apathy into citizen buy-in and support for riverfront revitalization? * 1 hr, 10 min - Changing people's minds about how dangerous it is to bike along the river * 1 hr, 15:30 min - How public/private partnerships will affect riverfront revitalization * 1 hr, 23 min - How West Sacramento is overcoming financial and regulation barriers to get things done * 1 hr, 27:45 min - Why isn't there more commerce, entertainment and events on the river? * 1 hr, 31:30 min - Making Old Sacramento "historically hip" * 1 hr, 37 min - How about using barges to put events on the river? * 1 hr, 41 min - Big announcement: A new type of lighting of the Tower Bridge * 1 hr, 43 min - What's the story behind the developer who spent millions on building a large dock south of the City, and why is it still not open? Why can't the City get that done? 1 hr: 45 min - What's an ideal model of development that we can use to revitalize our waterfront area?